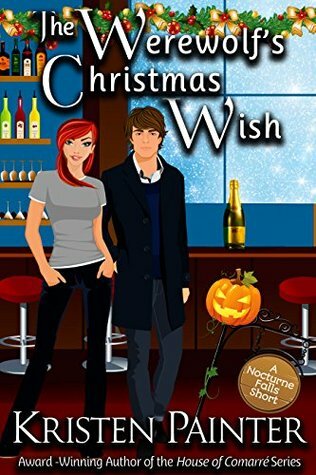 The Werewolf’s Christmas Wish is a quick short story from Kristen Painter’s Nocturne Falls series. This has become one of my favorite PNR series to read, and I definitely recommend this series to fans of Kristen Painter and readers that love Paranormal Romance. I won’t go into too much details into the story because I could end up giving something away and hate spoiling stories. f you’re a fan of the Nocturne Falls series, you’ll enjoy reading this quick read. If you’ve read The Werewolf Meets His Match, you would’ve been introduced to Sam Kincaid and Bridget Merrow. I loved how Kristen Painter got these two stubborn love birds together and I adore Bridget in the story. She was very determined to win over Sam and Sam was being so stubborn. I also enjoyed the Christmas storyline with the two characters. This short story definitely got me in the Christmas spirit and I look forward to reading even more Christmas stories soon.